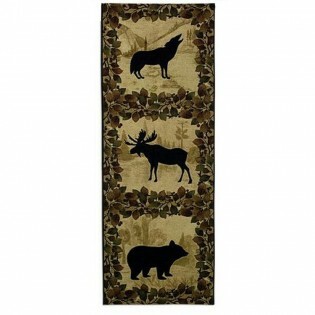 A vertical silhouette of wildlife animals including wolf, bear and moose are enveloped in a leafy frame. Colors are natural tones of browns, tans and black. A vertical silhouette of wildlife animals including wolf, bear and moose are enveloped in a leafy frame. 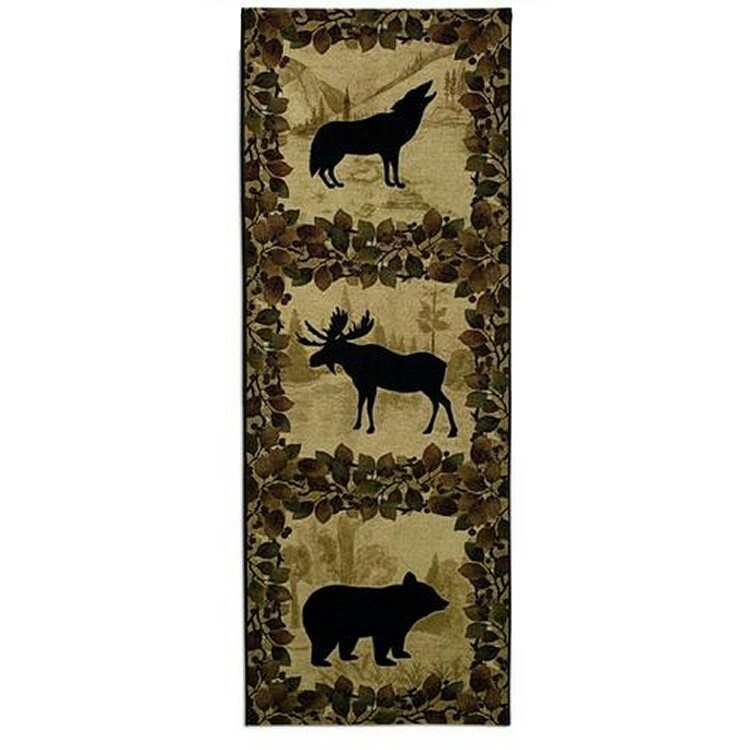 Colors included on the Lodge Wildlife Silhouette Wall Hanging are natural tones of browns, tans and black.